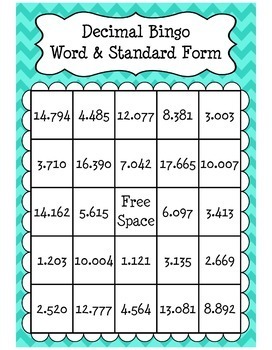 I can't think of a better way to motivate your students to practice converting decimals from word form to standard form, than with a game of Bingo! 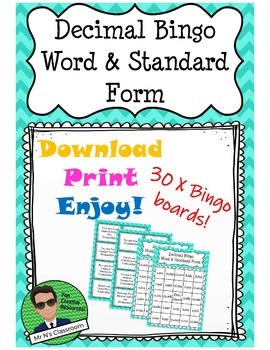 These cards are ready to print and play or laminate for durability. 42 calling cards that can also be used as task cards. 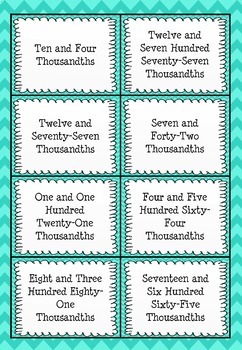 Decimal Bingo (Word and Standard Form) can be played as an entire class or used as a small group game during rotations.